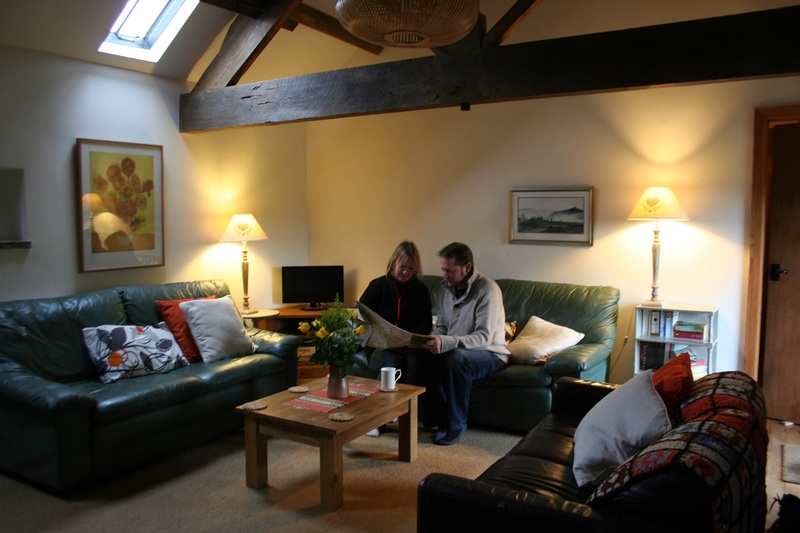 You will find a warm welcome at the Dove Valley Centre self-catering accommodation. 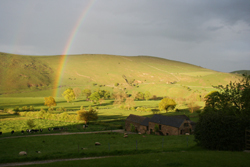 Children especially, will enjoy exploring the woodlands, fields, ponds and river of our 50 acre farm. The barns are 18th century and we have converted them sympathetically to preserve their character and to impact as little as possible on the environment. 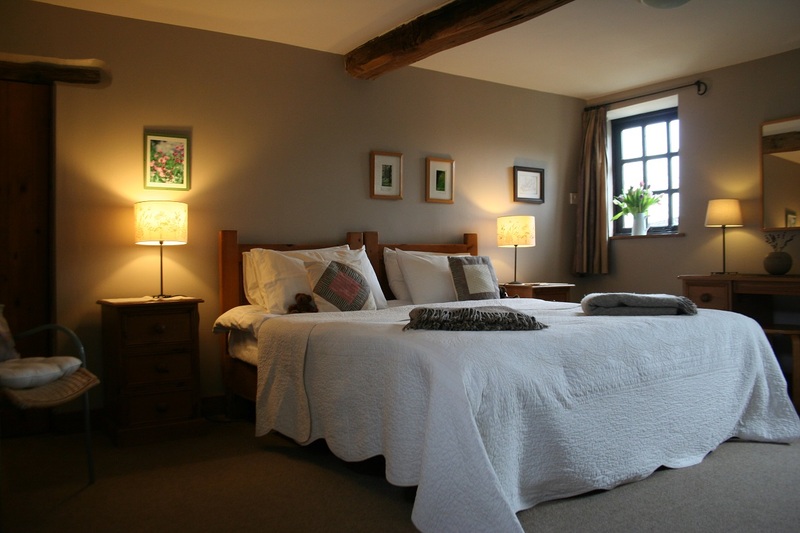 Many of the structural features have been left visible, including roof timbers, oak beams and stonework, providing accommodation that is both comfortable and stylish. 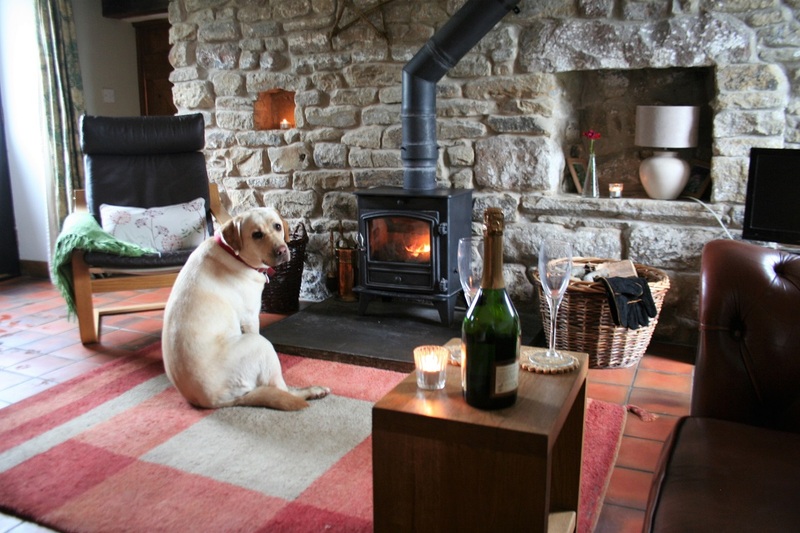 The central heating is powered by a ground source heat pump, supplemented by a wood burning stove fired with logs from our woodland. To reduce the impact on the environment, much of the timber we have used has come from either renewable resources or is reclaimed. The paint is organic and there are high levels of insulation, low energy light fittings and electricity from a "green" tariff so that the building is highly energy efficient. The Hayloft is approached by an external stone staircase which leads into a large open plan room with exposed roof truss and carpeted floor. There is a handmade oak kitchen /dining area / sitting area with comfortable leather sofas and stunning views through the glazed door up the Dove valley. 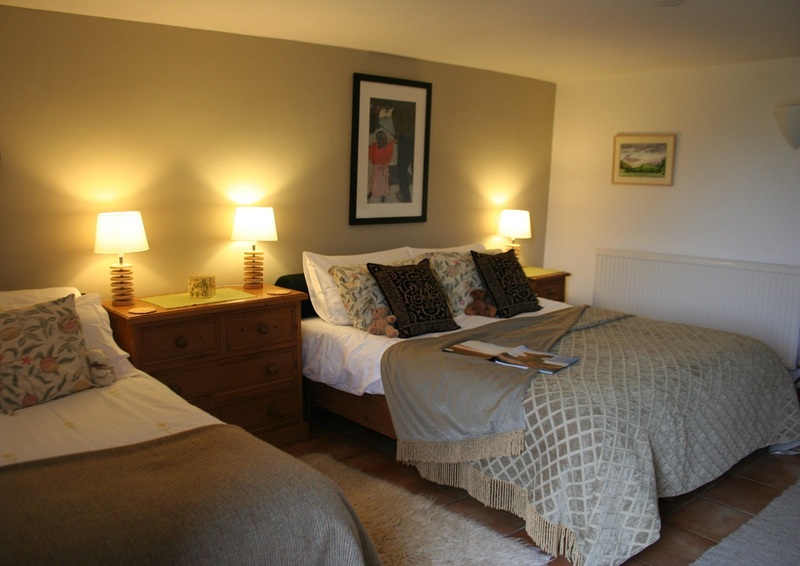 Opening off this space is a family bedroom with a natural stone wall and oak beams with a double and a single bed. On the other side of the central area is a double/twin bedded room with en suite shower room and a glazed door onto the upper grassed area. A smaller bedroom with twin beds (full length/2'6"wide) leads off the corridor, as does the second shower room. Relax in the garden under a parasol with splendid views of the Dove Valley. Laundry service. Cot and high chair available. 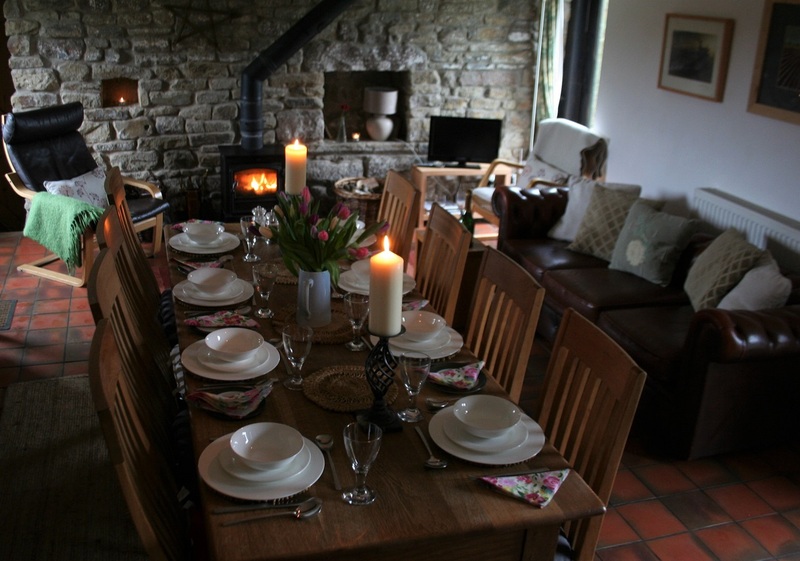 The Shippon has a large living room with wood burning stove, natural stone wall and oak beamed ceiling with a fitted oak kitchen and dining/sitting area. The glazed doors face south with views down the Dove valley. Off this is a lobby with space for coats and boots and a shower room. A door leads into a family room with a king size and single bed, again with a south facing glazed door. At the opposite end is a large bedroom with a twin/king size bed. It has oak beams, a natural stone wall with the door leading onto a herb garden. Dogs/pets welcome in the Shippon only. TV/DVD/CDplayer, Wi-Fi, Bluetooth Speaker, microwave. washing machine, dishwasher . Cot and high chair available. would like to use the barbecue. Fire pit for hire also.